Champion Of Liberty And The American Way. Defender Of Gaudily-Dressed Cocktail Waitresses In Front Of Costume Shops. 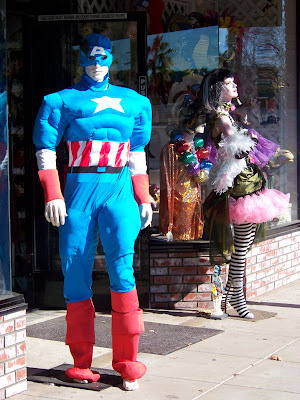 Cap's lookin' a bit disheveled there, don'tcha think ... ??? Oh. my. He has some misplaced muscles.